I have been a full time taxidermist since 1981, as a sole proprietor. 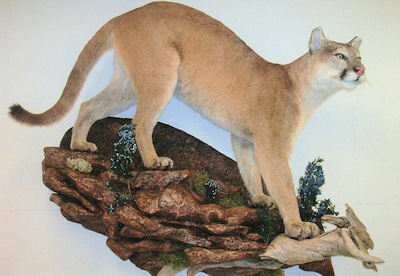 In the mid 80's I taught classes at a taxidermy school in Nisswa. Early on I entered mounts in competitions, and won 12 first and second place awards, on both the state and national level. Producing excellent quality mounts has been my focus from the start and this is why my customer base keeps me busy with a continuous backing. I do this full time and I take time to work through large volumes of mounts and maintain a high quality standard. I guarantee you will be 100% satisfied with your mount!